Eddy Zheng (鄭小飛), has a passion and lifelong commitment to serving children, youth, and families in the greater San Francisco Bay Area and beyond. 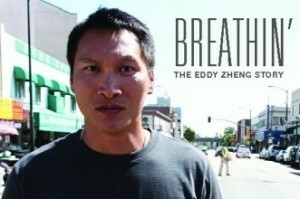 Eddy is the 2015 Open Society Foundation’s Soros Justice Fellow, whose primary focus is raising awareness around the impact of criminalization and deportation on the Asian and Pacific Islander (API) community, and ensures that the API voice and experience is included in the larger movement to end mass incarceration in the United States. Eddy immigrated to America from China with his family when he was 12 years old. “Like many immigrant youth before and after me, I did not have a choice on whether or not I wanted to come to the U.S.,” he says, “I know firsthand the difficulties, barriers and frustrations the young people in our community are going through, and what can happen when they can’t get the help support they need to succeed.” Eddy’s mission is to use his experiences to inspire and motivate young people to invest in their education, raise awareness about the detrimental impact that the Prison Industrial Complex has on the Asian and Pacific Islander population, and promote racial harmony among people of color.